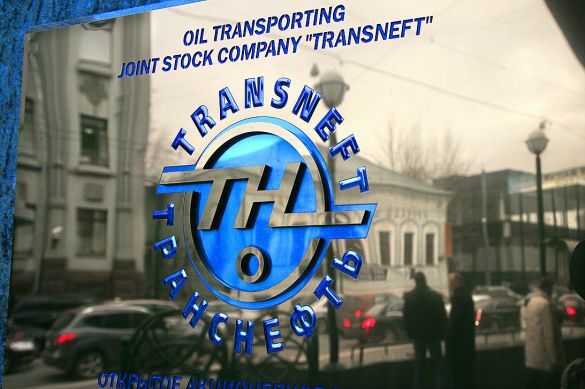 Transneft, the Russian pipeline giant with a virtual monopoly, and Rosneft are considering an overland route for their oil exports to China using Mongolia as a shortcut. This would add an alternate to the Caspian Pipeline Consortium (CPC) Kazakhstan route. Currently, Russia’s using a network of pipelines that feed into China through many third party nations. There are three routes being used by Russia to transport oil to China. The pipelines that feed into China (the ESPO pipeline system) have a flow of 36 million tons of crude per year. Out of that, 20 million tons is earmarked for Chinese markets. The recent spur from the ESPO is the Skovorodino-Mohe branch. The spirit is designed specifically to shunt off oil to China. It is hoped that this spur will be able to have a flow of 30 million tons per year. Currently, the Skovorodino-Mohe branch has a production flow of 15 million tons per year. The third pipeline into China is the proposed Atasu-Alashankou pipeline. This route would not take effect until sometime in 2014. It is thought that Transneft will have a production flow of 7 million tons through this pipeline. That will give China roughly 42 million tons of crude from Russia through three overland pipelines. Transneft is concerned that if the Atasu-Alashankou pipeline is used it will face a transshipment revenue loss of $1.5 billion. This loss is separate from the projected Russian export tax loss. If Russia chooses the Atasu-Alashankou pipeline, which is based in Kazakhstan, its loss of export taxes could amount to nearly $2.6 billion. What is at stake is how the Customs Union, which includes Belarus, Russia, and Kazakhstan, determines the sale of oil. The regulations loosely state that no taxes will be levied between those three countries if the commodity is sold within those three countries. If Russia were to use the Atasu-Alashankou pipeline they would be handing Kazakhstan an opportunity to collect that tax if they decided to sell the crude oil to China directly. A viable large flow alternative does not exist yet for Russia to continue to transport large amounts of crude oil to Chinese markets. Once a viable option is discovered, Russia can enjoy the profits of their export tax and not strain relationships between the Customs Union members. Kazakhstan is also becoming a volatile partner. Recent disputes with Chevron (NYSE: CVX ) and Eni (NYSE: E ) over environmental concerns and operations have raised concerns in a nation with rising nationalistic tendencies. Kazakh officials closed down Eni’s operations in Kashagan, a Caspian Sea field, citing environmental violations. Chevron was also accused of of mismanaging its sulfur stockpiling in the Tengiz field, which has led to a shutdown. Chevron has been operating in Kazakhstan for 20 years. There are many ways to ship crude oil to refineries. Transneft has explored the use of rail as an expedient option to deliver crude to western China. This would utilize Mongolian rail lines that would meet up with various pipelines throughout the region. The rail head would be in the Megat railway station in Russia’s Irkutsk region. From there, the transfer of crude via tanker trains will be channeled through the Naushki station on the Mongolian border. Mongolia would not be charged for any transit as it is only being used as a intermediary between Russia and China. Mongolia would definitely welcome the increased use and trade along the Megat route, which, is only being used to 20% of its capacity. Harbin China is also a rail route being used by Russian oil companies to supply crude to CNPC. Harbin is located in the Heilongjiang province in China’s northeast region. Investors should keep an eye on future developments of Russian and Chinese pipelines and freight rails. As the infrastructure grows to meet demand, so will the reliability of crude oil going to market. Once Russia is able to make more money via Mongolia there is an increased chance they will export less through Kazakhstan, which could have a trickle down effect to local businesses. Russia still is using the CPC as a major component in their European energy strategy to import liquid fuels from China but may in the future decrease their presence if other routes are proven to yield more profit for Moscow. BP is expected to buy more from the straight-run fuel oil from China. This is a direct result of exports from Russia which have expanded China’s ability to attract business. You don’t have to like big oil to take their money. John D. Rockefeller, the richest man in the world, made his fortune from one simple thing: Oil. And you can to. But times have changed, and now OPEC writes the rules. But this cartel wasn’t expecting the All-American energy stock savvy investors are calling OPEC’s Worst Nightmare. Our CEO and Warren Buffet’s company like it so much they loaded up on shares. Because this company is at the intersection of a new energy paradigm. You can uncover the company bringing control back to America – free for a limited time. Just click here now to gain access. Andrew Foote has no position in any stocks mentioned. Fool contributor Bill Foote has no position in any stocks mentioned. The Motley Fool recommends Chevron. Try any of our Foolish newsletter services free for 30 days. We Fools may not all hold the same opinions, but we all believe that considering a diverse range of insights makes us better investors. The Motley Fool has a disclosure policy.